Medill Prof. Ava Thompson Greenwell previewed a first glimpse of her documentary, “Mission Possible: Chicago’s Free South Africa Movement,” at a Tuesday event organized by the Office of Residential Academic Initiatives. Drawing an audience of about 30 people to the Shepard Engagement Center, Greenwell showed a rough cut of the project she has been working on since 2014. Featuring archival footage and a series of interviews with Chicago activists, the documentary traces the history of the anti-apartheid movement in Chicago from 1980 to 1994. 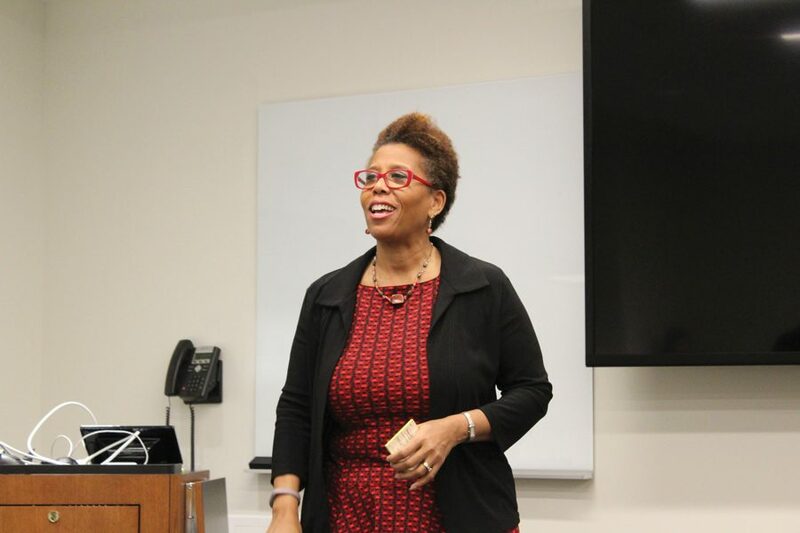 As part of her 2014 Journalism Residency course, Greenwell invited Chicagoans to her class to speak about their experiences in South Africa and Chicago during the apartheid period. She said she realized the “pool of people (who were) a part of the anti-apartheid movement in the 1980s and 90s,” and made it her goal to tell their story. Greenwell said the piece highlights the actions of local activists whose impactful anti-apartheid efforts led Nelson Mandela to visit Chicago in 1993. “Chicago is called the most segregated city in the nation, but people came together about this one cause,” Greenwell said. Nancy Anderson, associate director of residential academic initiatives, said she invited Greenwell to present her work because the professor is a long-time fellow affiliated with the Communications Residential College. Anderson said she was interested in Greenwell’s research and what students could take away from attending the event. “I hope those who attend will gain a greater appreciation for the importance and power that activism can hold to effect positive change,” Anderson said. In addition to screening what Greenwell called “the beginning phase of maybe 10 versions of this documentary,” she discussed how her film was made possible by a 2016 Kartemquin Films fellowship and a NU Undergraduate Research Assistance Program. Greenwell said one of her goals for Tuesday’s screening was to receive audience feedback, particularly from students. Medill first-year Ally Hill said she was “fascinated” to hear about the instrumental role the University and its students played in protesting the apartheid. Greenwell said she hopes to finish the final, hour-long cut of the documentary by 2020, and that she may enter it in upcoming film festivals. She added that she plans to do additional interviews in the coming weeks to “get as many voices in the documentary as possible,” including that of Lindiwe Mabuza, a former African National Congress chief representative. Ultimately, Greenwell said the project has been a growing experience for her.